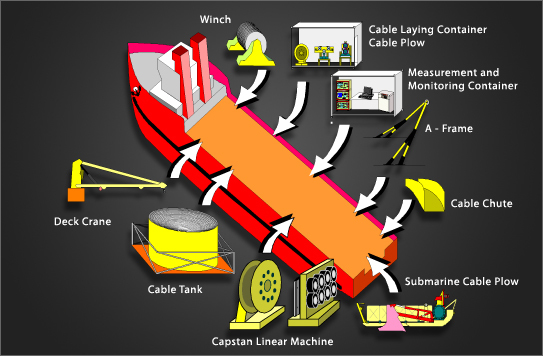 iFACTORS possess complete tools and equipment for maintenance and laying of optical fibre submarine cable system. Apart from the OTDR, and splicing machineries, iFACTORS has acquired a complete cable laying machineries which include Linear Cable Engine, Capstan, Ploughing machine, water pump which are designed for fibre optic and power cable system. iFACTORS has recently acquired our own cable laying vessel, My Lady Norma 1 (MLN1), a DP 1 vessel capable of laying up to 400km of SA cable.